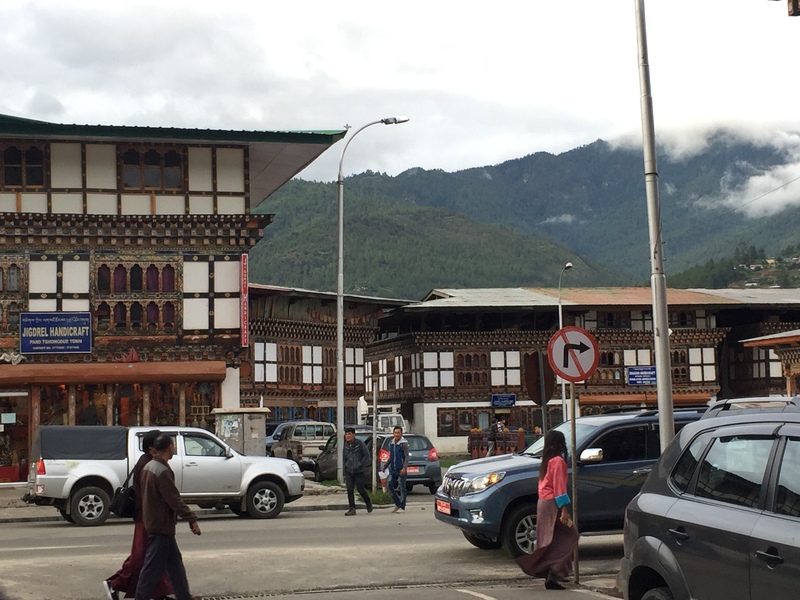 If you have read the previous blog on basics of going to Bhutan, you already should know the practical details of the preparation. As you fly, make sure your driver is ready at the airport, if not, you can hire a car from the airport like any other country, do not fret. Our trip was a week long leisure trip, that prioritized only on, how I want things to be. The trip had wild adventures, leisure cafe hangout and people watching, visiting the important places and above all lots of beauty and health therapies. From The airport we straight went to Thimpu, after two nights, went to Punakha for two nights then returned back to Paro for the final two nights. If you are interested in visiting Bhumtang, you should chalk out a 9 days plan, keeping on mind that, it takes 10 hours by road and 1 hour by plane to reach Bhumtang. I have no idea of hotels in Bhumtang as I haven’t been there, but I suggest a home stay, as you have very little to do in Bhumtang. Learning Bhutanese lifestyle first hand from a Bhutanese family can be a good adventure as well. 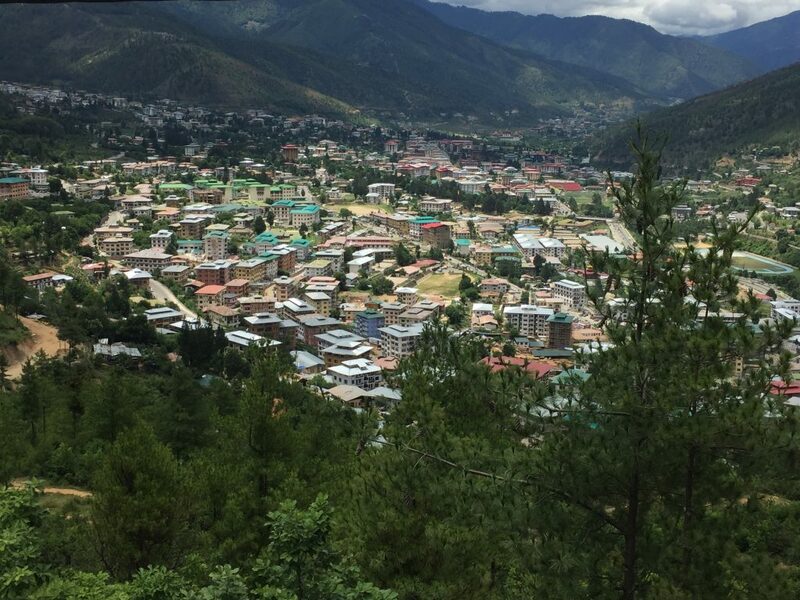 On day one, we drove to Thimphu, about 65 kilometers away from Paro, takes a little more than an hour up on arrival. En route we hiked to visit Tachogang (temple on the hill of the excellent horse), whose origin dates back to around 1420-30. 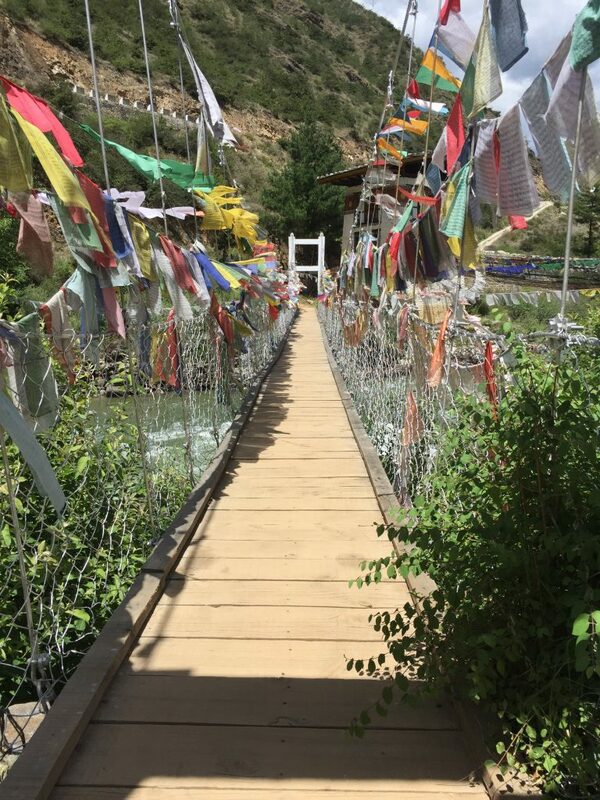 A 15th century accomplished saint and wandering scholar from Tibet, Thangtong Gyelpo, also famously known for building of iron bridges single handedly, built this temple. 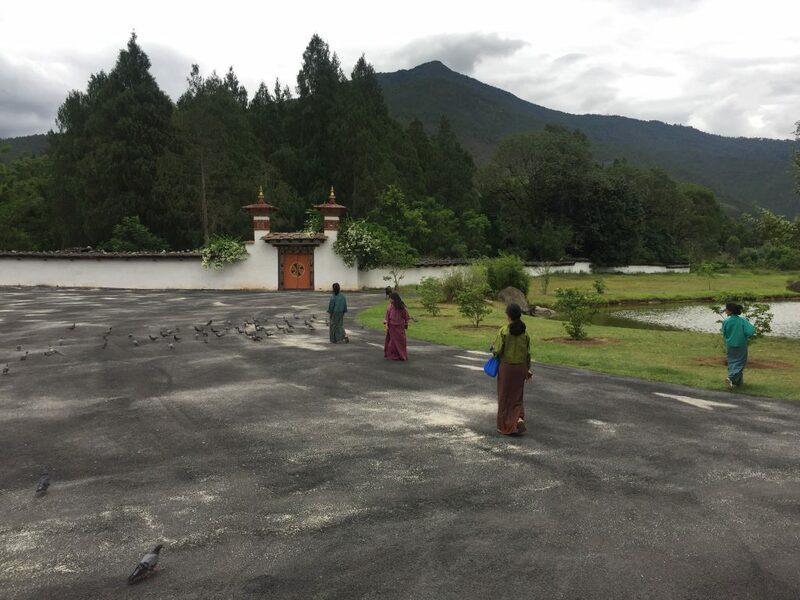 If you have taken the early morning flight, it will take you 12 to reach Thimphu, after visiting the temple. My suggestion is to have a lunch in San Maro a Korean food court in the city centre. Before the lunch apply for the permission to visit other districts in the immigration office, collect after two hours. 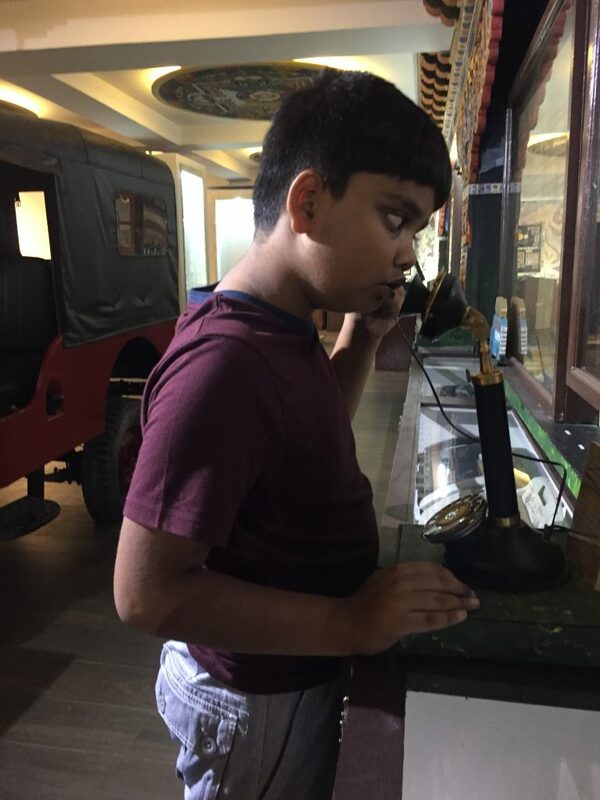 After lunch, visit the post office museum and make you sure make a stamp with your picture and post it to your family back in Dhaka. 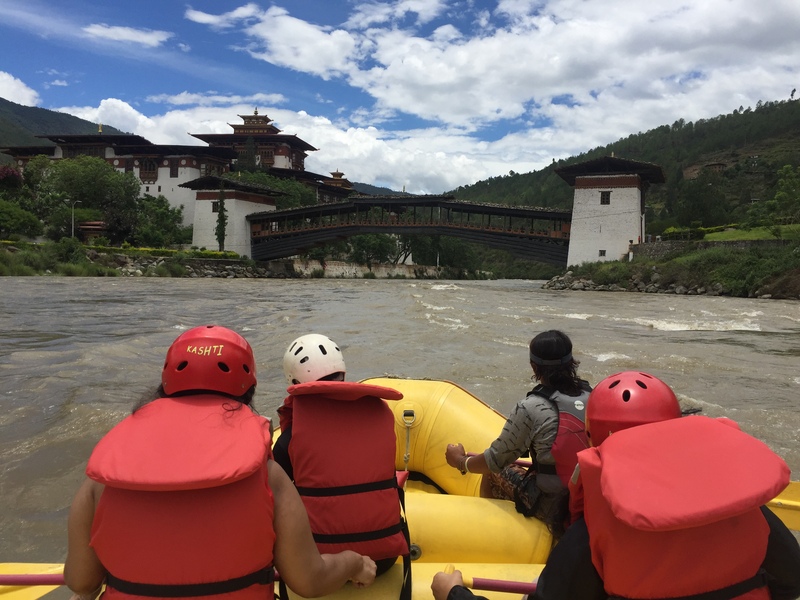 This is one of the most fun things to do in Thimphu. My son was overly excited to send cards to all his cousins. There is a roadside cafe beside the museum to enjoy the afternoon coffee. Before calling it a day you can also consider visiting the Junction book store, a typical corner book shop with a good collection of books on travel, Buddhism and Bhutan. They also have hand made salves, lotions and balms that are wonderful and are used by senior care in home. Or alternatively, if you are interested, a little further up, visit the archery range in Changlimithang to see the locals engaged over a game of archery, the national sport of Bhutan. Archery is the favorite recreational sport for many Bhutanese people. On day 2, start early around 9:30 am with the National Memorial Chorten, that was built in 1974 in memorial of late Third King Jigme Dorji Wangchuck. 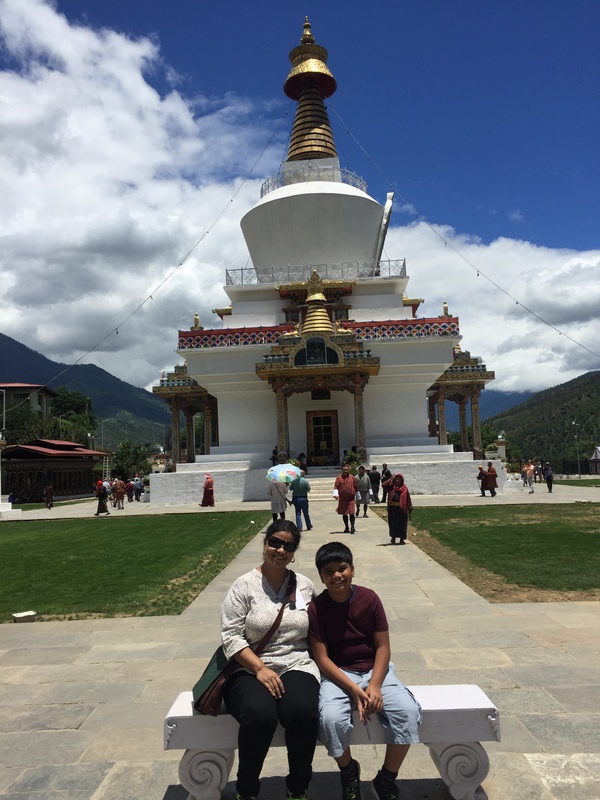 It’s one of the most thronged religious sites in Thimphu and Thimphuites’ daily worship site. I felt very peaceful and remembered Buddhanath Temple in Kathmandu. 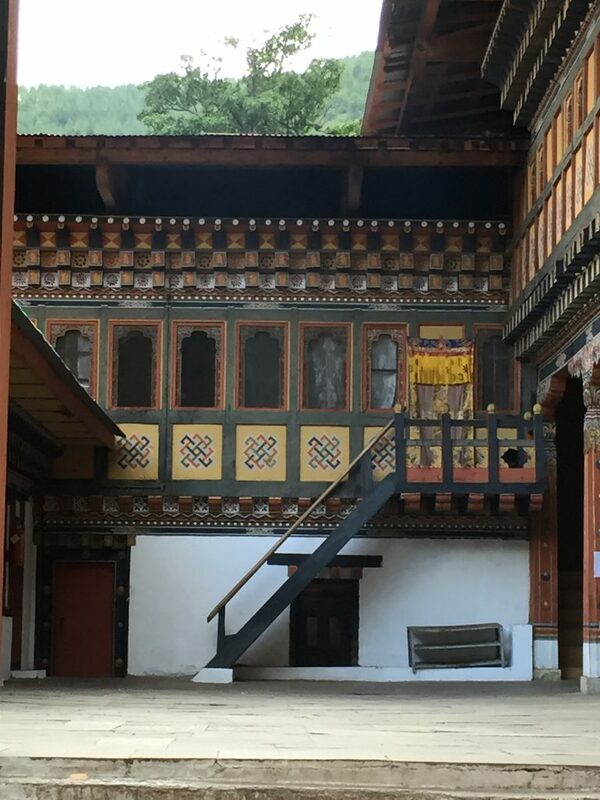 Afterward, visit the Folk Heritage Museum for glimpse of a traditional house in medieval Bhutan. 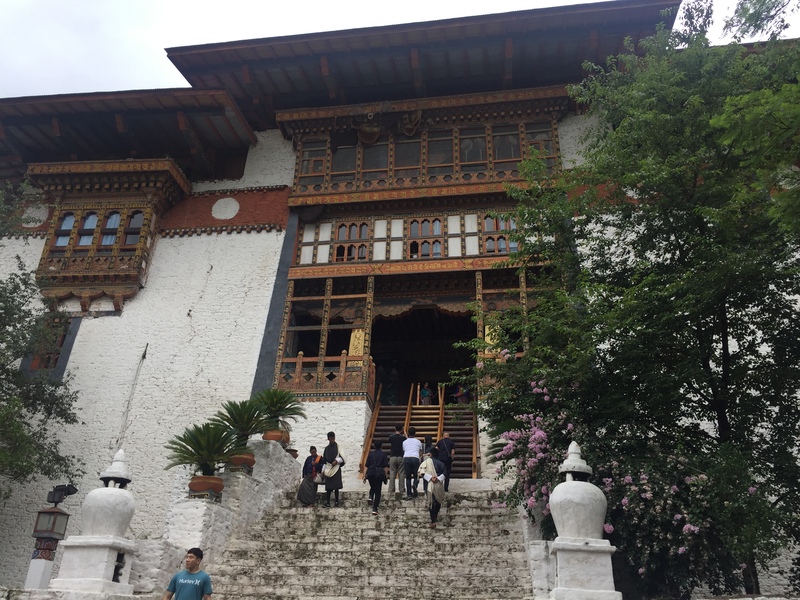 Next, explore the Institute of Traditional Arts and Crafts, also known as the Institute for Zorig Chusum, where trainees undergo long training courses for years in the 13 different arts and crafts of Bhutan. Many people then take a short walk to the new National Library of Bhutan, but we didn’t. 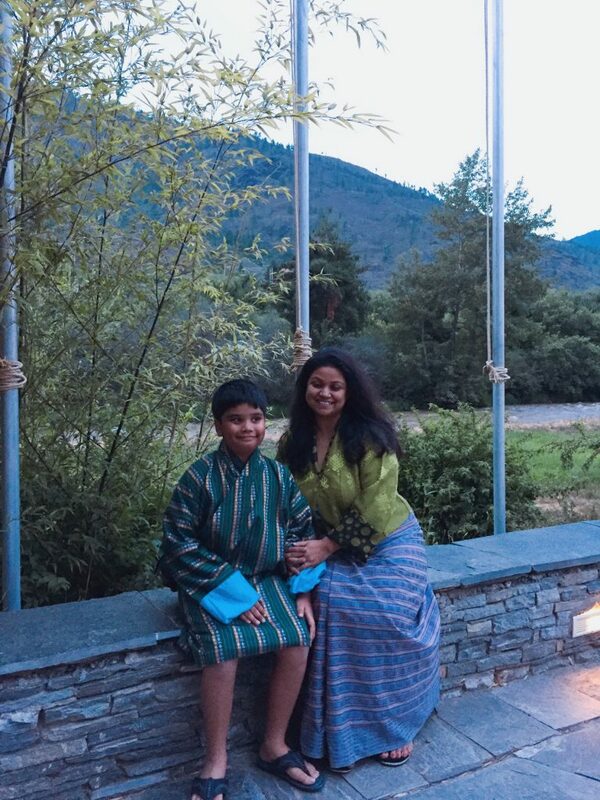 Visit the National Textiles Museum next which was opened in 2001 under the patronage of Her Majesty Ashi Sangay Choden Wangchuck to promote Bhutanese textiles and traditional crafts. After lunch, late in the afternoon, visit Trashichho Dzong, first built in 1771 and later rebuilt by the Third King in 1965. The Dzong houses the throne room of His Majesty the King and a few government ministries. It’s also the summer residence of the Je Khenpo (Chief Abbot) and Central Monk Body. I stayed in a beautiful resort called Terma Linca owned by Queen mother. My son and I indulged ourselves in a hot stone bath and a massage session to enjoy traditional Bhutanese therapies. We also dressed in Kira and Gho and did a photo shoot in our resort. 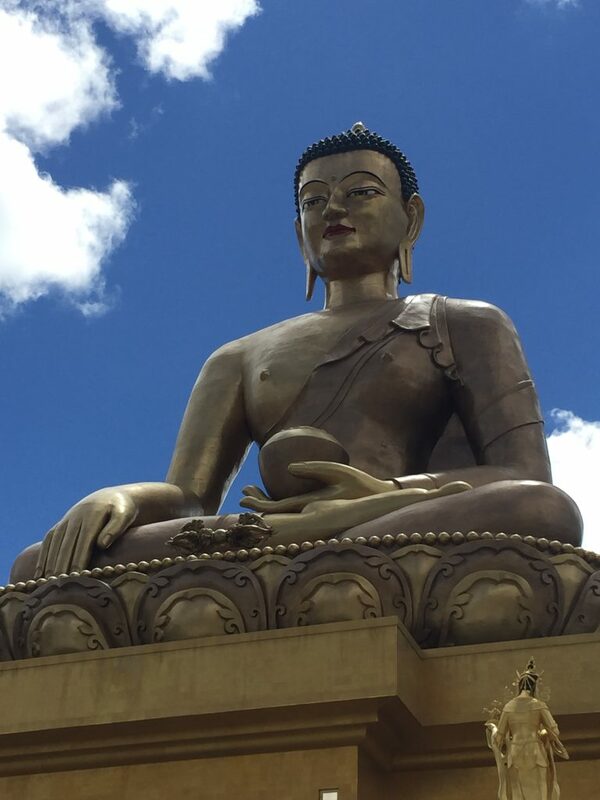 Again on Day 3, finish an early breakfast pack up and start at 8:30 am, straight drive to Kuenselphodrang to see the 169-foot Buddha Dordenma statue, one of the largest statues of Buddha in the world. You will find the BBS tower for a spectacular view of the Thimphu valley with fluttering prayer flags of diverse hues in juxtaposition. Visit the Zilukha Nunnery or Drubthob Goemba next where Bhutanese nuns engage in a life of celibacy. The site is revered to 15th century accomplished saint and wandering scholar from Tibet, Thangtong Gyelpo. En route to Punakha, get glimpse of Semtokha Dzong, which earlier also functioned as the Institute for Language and Cultural Studies. This is the oldest Dzong built by Zhabdrung Ngawang Namgyal in 1629. After driving for almost 30 kilometers away from Thimphu/ a little less than an hour, stop at Dochula (elevation- 3,100m). It’s a popular sightseeing stopover, offering spectators a panoramic view of Himalayan mountain range on clear days, besides also being a popular spiritual destination for locals and tourists. Also being a popular picnic spot for Thimphuites, Dochula is also one of the few spots in the country where photographers and visitors can capture a magnificent view of the Himalayan mountain range. 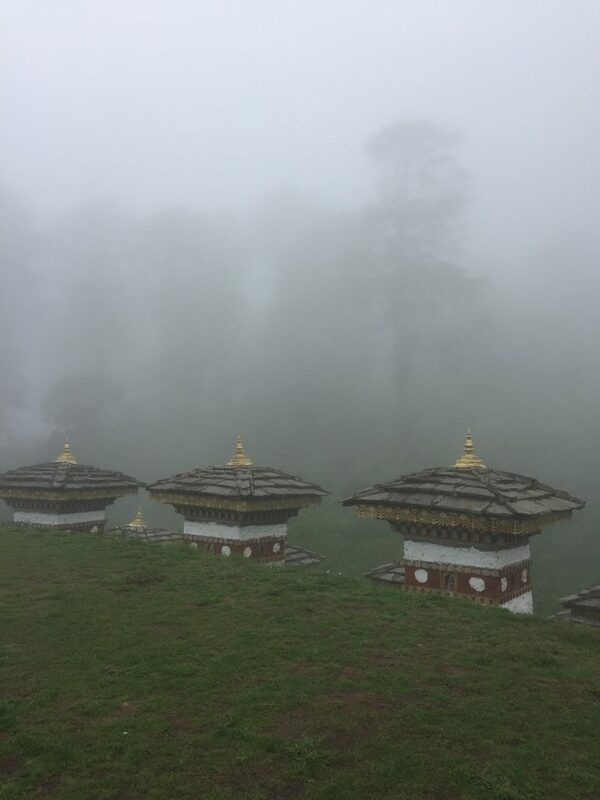 Adjacent to the spot, check out the 108 chortens, also known as Druk Wangyal Chortens, whose construction was commissioned by the eldest Queen Mother, Her Majesty Ashi Dorji Wangmo Wangchuck. Have your lunch in the Dochula restaurant. Order all the Bhutanese delicacies and enjoy a lovely meal having the Himalaya at the horizon. Up on arrival in the hotel, relax. Sit in the balcony with a book and enjoy the beautiful landscape. Don’t forget to order a hot lemon honey tea to bring the Zen back. 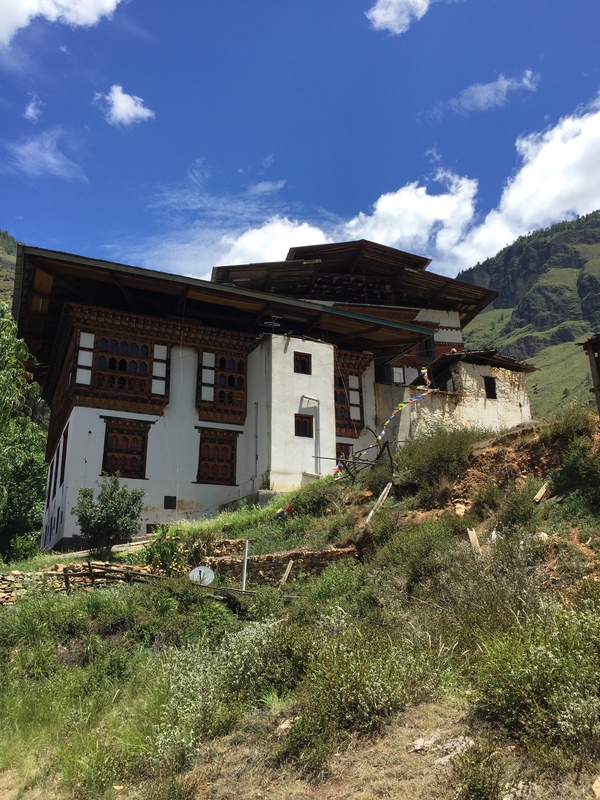 However after the drive to Punakha many people take a short hike in the afternoon through rice fields and few traditional houses to Chimme Lhakhang. It’s half hour walk from the road head at Sopsokha. Chimme Lhakhang is a small 15th century temple, famously known for its fertility endowments due to the blessing of Drukpa Kunley. But we preferred to rest in our resort Meri Puensum. Start the day with a wild adventure. 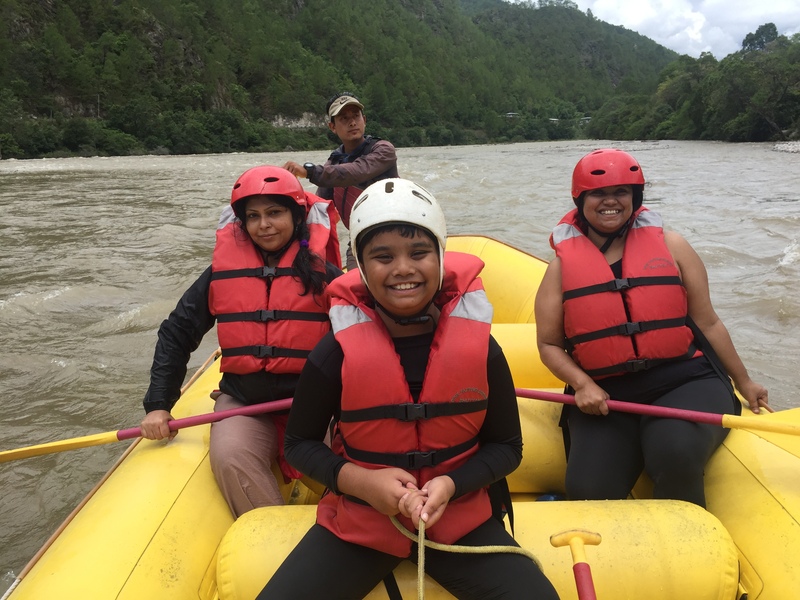 If you have rafted before, do an advanced rafting in Pho Chu, or as a beginner, do the easy rafting in the female river known as Mo Chu. The cold water from the river will splash on your warm bodies and make you fall in love with Bhutan a little more. If you visit Bhutan in the monsoon, it will take roughly 50 minutes but in other seasons almost 90 minutes to 2 hours. 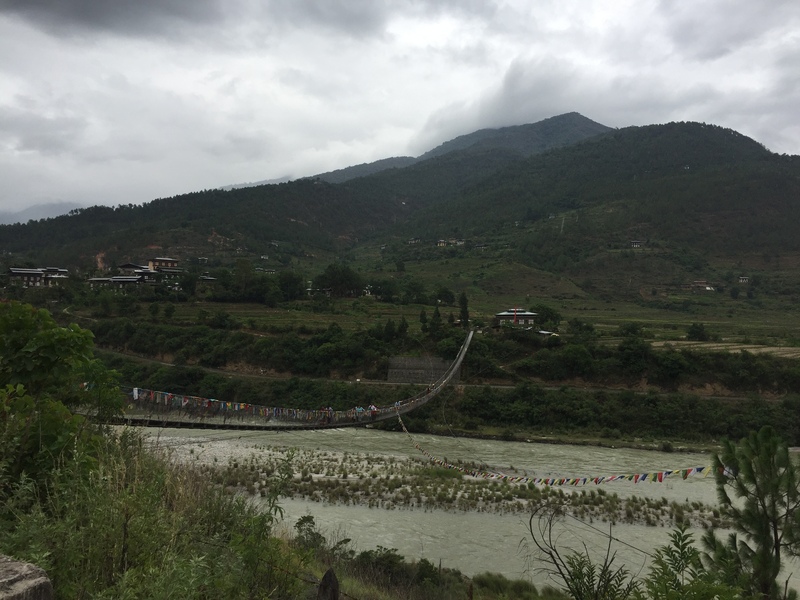 Come back to hotel quickly, change, pack and head out to explore Punakha Dzong and the suspension bridge. It’s also known as Pungtang Dechen Phodrang Dzong (Palace of Great Happiness). This massive structure lies at the junction of the two rivers- Phochhu (Male) and Mochhu (Female). If you have planned to spend the night in Dochula resort, headout by 3pm, so by 5pm you will reach Dochula Resort. 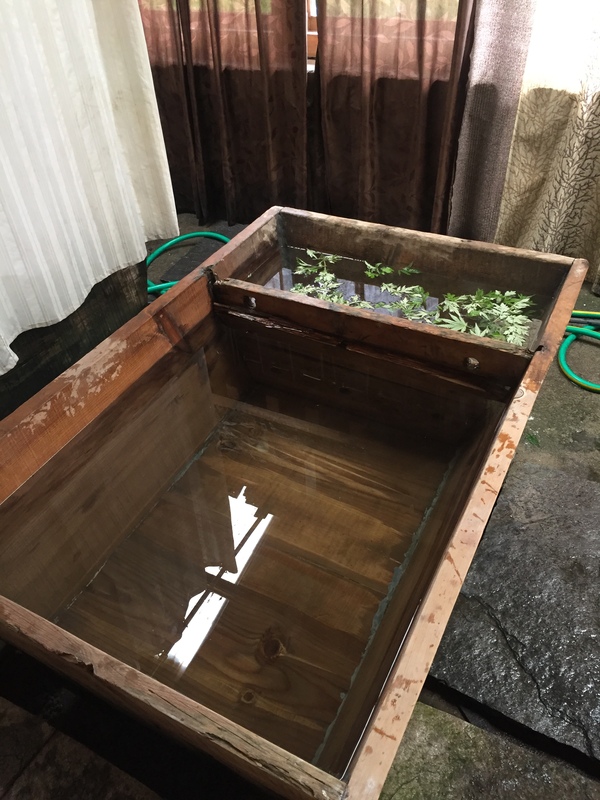 If you have missed any of the Dochula activities on the other day, you can do them now. Or as I always like it, stay in hotel and relax with a warm honey lemon tea and a book. However, if you are staying in Punakha for the night, visit Zhabdrung Ngawang Namgyal built Punakha Dzong in 1637. Afterward drive to the road-end point and take a short hike to Khamsum Yulley Namgyel Chorten. This temple is perched on a beautiful ridge above the upper Punakha valley. The uphill hike will approximately take 30 minutes. 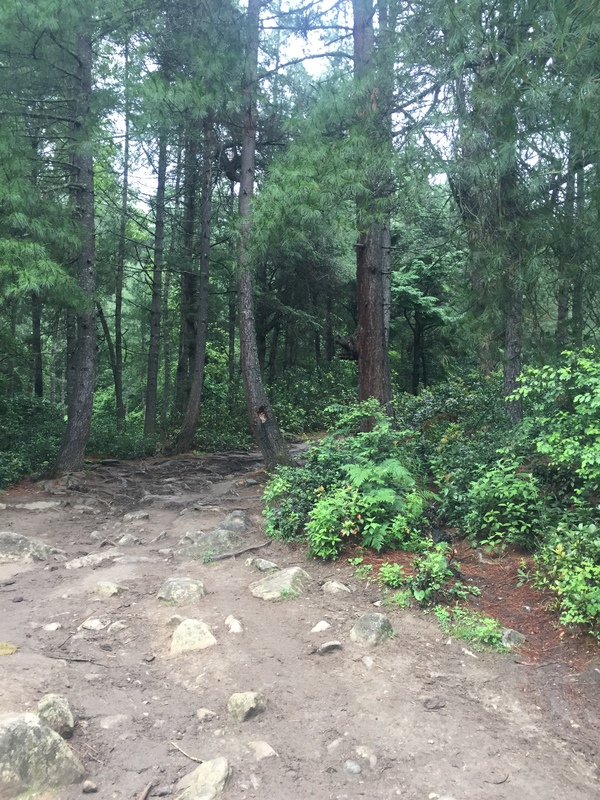 I didn’t do much hiking in my trip as I had Tiger’s Nest on my mind. 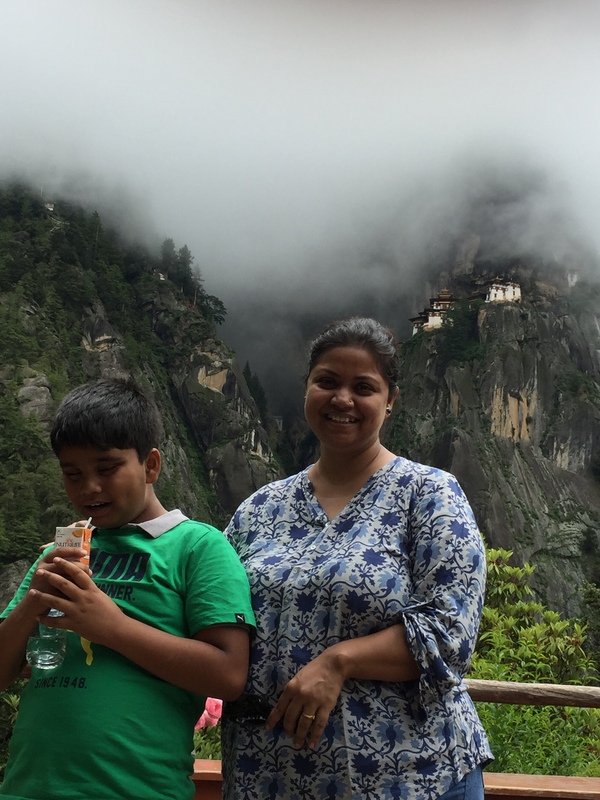 I kept all my energy for Taktshang Goempa. On day five, you can have the luxury of starting little late and begin journey onward to Paro. On reaching Paro, it would be perhaps befitting to start the expedition with a visit to Ta Dzong, literally meaning a watchtower fortress, built in 1641. It was once a watchtower and built so to defend Paro Rinpung Dzong. Ta Dzong has been, however, transformed and launched as Bhutan’s National Museum since 1968. It’s a repository of information about Bhutan’s arts, relics, religious thanka paintings, and exquisite postage stamps. Afterward, visit Paro Rinpung Dzong, a few meters below the watchtower on the same ridge. This fortress is considered as a finest example of Bhutanese architecture. Rinpung literally means a heap of jewels, and the fortress appears to having had been built on top of it; so the name Rinpung. Paro Rinpung Dzong was built in 1646 by Zhabdrung Ngawang Namgyal to defend the Paro valley from invasion from Tibet. Today, it houses the offices of the district administration and district court, besides monastic quarters for monks. In the evening, take a stroll in town. Finally came the long awaited day 6 of my trip. After an early breakfast, ensure that you are all geared up for the hike to Taktshang (Tiger’s Nest), the most revered religious and pilgrimage site in the country. 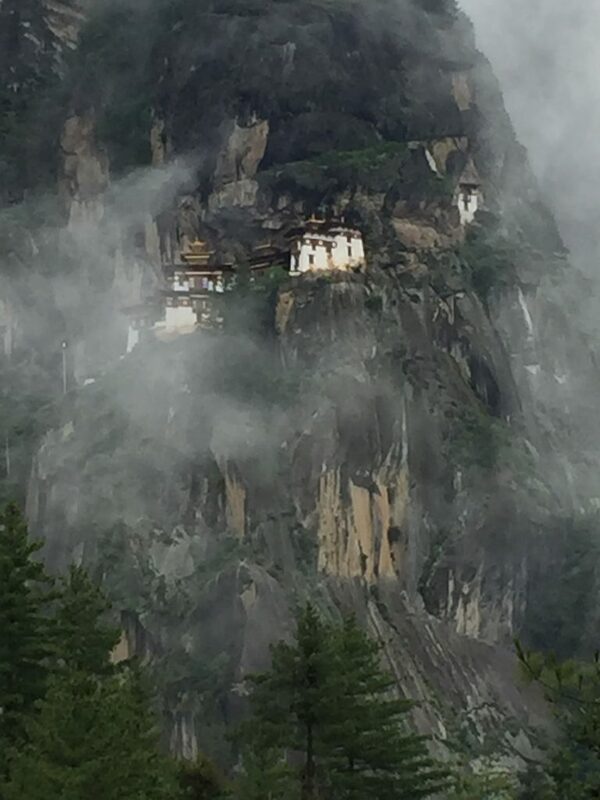 The temple, perched on a steep rocky cliff about 900m above Paro valley and overlooking it, is built on the place where Guru Rinpochhe after having had flown here on the back of the tigress from Singye Dzong in Lhuentse meditated for three months to subdue demons. Guru Rinpochhe was a great saint and a mystic from the Swat valley in modern day Pakistan, mainly attributed for bringing Buddhism to Tibet and Bhutan in the 8th century. The ascending hike to the temple will take about three hours. There is also a cafeteria midway where one can stop for lunch or rest. We went up till the cafe, stayed there for an hour, enjoyed the breathe taking hide and seek game of the temple with the clouds hanging around it. For that moment I felt I have no complaints in my life. I felt wonderful, primarily as I have done this alone with my pre-teen son, so there was a sense of accomplishment. Secondly, I felt I have done a pilgrimage. Came back with a full mind and dived into the ready hot stone bath and massage. For the one final time, in the afternoon, went for a stroll in the city. Walked around the market area and spent time in the cafes, shops and talking to random people on the road. I have kept the Chele la pass sight seeing and visiting Drukgyel Dzong for my next trip. Located on the north side of the Paro valley and about 18 kilometers away from Paro town, this fortress was built upon the command of Zhabdrung Ngawang Namgyal in 1647 to commemorate victory over an invasion from Tibet. It was also built in a location chosen for control of routes to Tibet. The Dzong, however, has been almost completely destroyed by a fire in 1951. If you are not hiking Tiger’s Nest then consider this alternative option. That was Bhutan for us. Do not feel obliged or pressured to do all that I have mentioned here. I did only half what I have written here. For instance, I didn’t do the folk museum or the arts and craft museum in Thimphu. I reserved them for my next trip to Bhutan. The country is as beautiful as it can get. You will always want to come back. Better if you do it slowly, then you will have reasons to go back. Do not make it a hectic trip, rather relax and enjoy as much as you can.